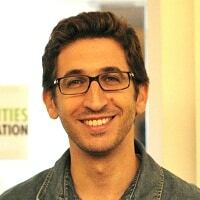 Mathieu Lefevre is the executive director of the New Cities Foundation. Previously,he worked for the World Bank in the area of governance and as a political officer for the UN Department of Peacekeeping Operations, serving in Afghanistan and the Middle East. He is a graduate of Harvard’s Kennedy School of Government and of the London School of Economics. He’s a citizen of France and the U.S. and describes himself as a city enthusiast – with a particular interest in street food. New Cities Foundation project is the first major study looking at the impact of integrating e-health technology in low-resource, densely populated, urban settings - and the early returns are promising.